The Beatles performed two shows at the Coliseum in Seattle on this day, at 3pm and 8pm, on the 12th date of their final tour. The support acts were The Remains, Bobby Hebb, The Cyrkle and The Ronettes. The Beatles had played at the Coliseum once before, on 21 August 1964, during their first full American tour. 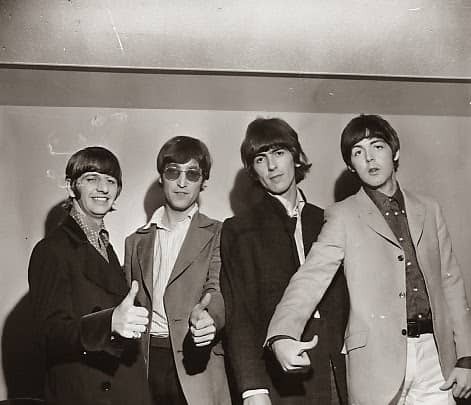 The Beatles had a standard set containing 11 songs during their final tour: Rock And Roll Music, She's A Woman, If I Needed Someone, Day Tripper, Baby's In Black, I Feel Fine, Yesterday, I Wanna Be Your Man, Nowhere Man, Paperback Writer and I'm Down. During the tour they occasionally substituted the final song with Long Tall Sally. Afterwards The Beatles were due to fly back to Los Angeles on an 11pm flight, for two more days of rest. Their departure was delayed by five hours after one of the aeroplane's wheels was found to be worn out and in need of replacement.